A Year of Being Here: Linda Pastan: "April"
"April" by Linda Pastan, from Traveling Light: Poems (W. W. Norton & Company, 2012 edition). 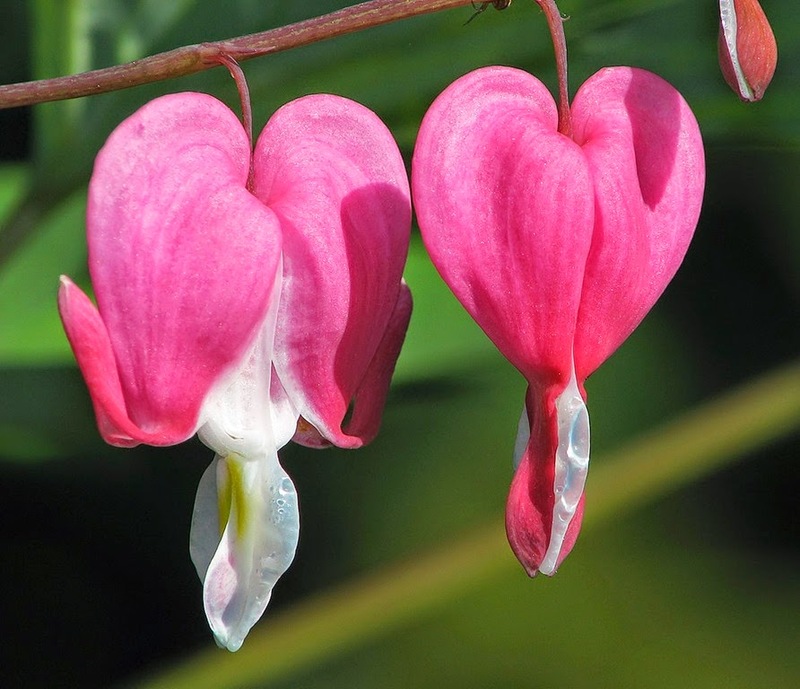 Art credit: Untitled image of bleeding heart blossoms by unknown photographer. What a coincidence! I was reading some Linda Pastan last night! poems from the collection PM/AM ... I like the "new freshman class of leaves," even though the scholastic metaphor isn't extended to other parts of the poem. And of course, one cherishes the specificity of the camellia and the bleeding heart. I grew up in urban purlieux: I'm lucky if I can distinguish flowers from feathers! Happy coincidence. Happy flowers. Happy spring, Thomas!